The Amazon CEO thinks we could have a trillion humans in the solar system. On July 15, Buzz Aldrin hosted a gala at the Kennedy Space Center in Cape Canaveral, Florida, to commemorate the Apollo 11 landing on the Moon and to raise funds for his ShareSpace Foundation, a nonprofit that focuses on educating the next generation, which Aldrin hopes will help humans reach Mars by 2040. Amazon founder and Blue Origin CEO Jeff Bezos was given the first Buzz Aldrin Space Innovation Award during the event, after which he made some predictions concerning the future of humanity’s cosmic adventures. Bezos’ vehicle for achieving his dreams is Blue Origin, which he sells billions of dollars worth of Amazon stock to fund. Like Elon Musk’s SpaceX, Blue Origin aims to democratize space by using reusable rockets to decrease the cost of travel. Presumably, it is the company’s spacecraft that would provide the means of colonizing the Moon and beyond. Recently, Blue Origin has enjoyed some major breakthroughs and successes. Last year, the company landed a reusable rocket and successfully tested its New Shepard rocket’s escape system, with the added bonus of the rocket itself surviving. 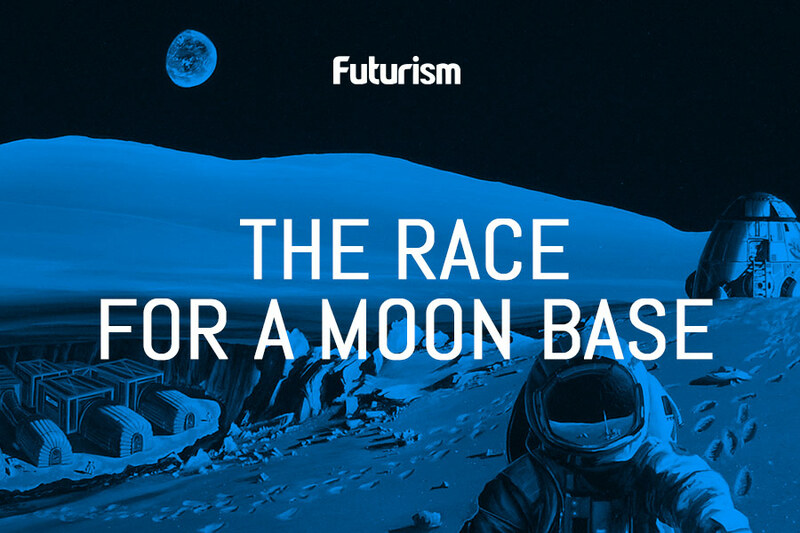 This year, they’ve shared several pictures of their gargantuan new rocket engine, given us a peak at their highly anticipated space tourist capsule — slated to go into operation in 2018 — and revealed plans to begin delivering supplies to the Moon by the mid-2020s. Blue Origin is one of several companies that form the vanguard of the current space revolution. Along with SpaceX, Virgin Galactic, and Rocket Lab, Blue Origin aims to knock access to the cosmos off its governmental pedestal and bring the stars to the masses via tourism and colonization. With our planet being ravaged by global warming and overpopulation, space is becoming an ever-more-viable option to serve our species’ needs. Companies like Blue Origin are laying the groundwork for what could be the next step in human habitation.